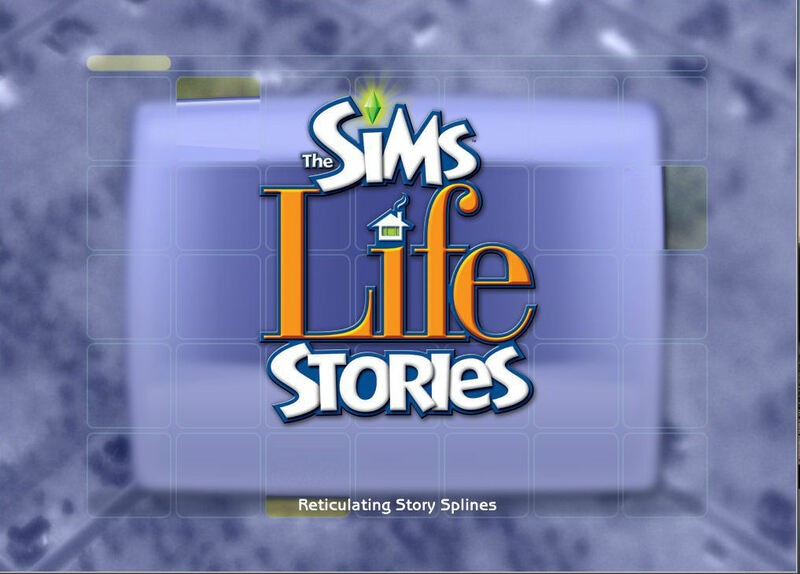 The Sims Life Stories: Groundbreaking or More of the Same? As there has already been an excellent and in-depth preview of The Sims Life Stories written by ChEeTaH, this review will be briefer than my usual gargantuan epics. You'll have to wait a month for the next epic when I review "Seasons". This review will look at what has come to pass, what has not happened and also my observations and criticisms of this new standalone product. 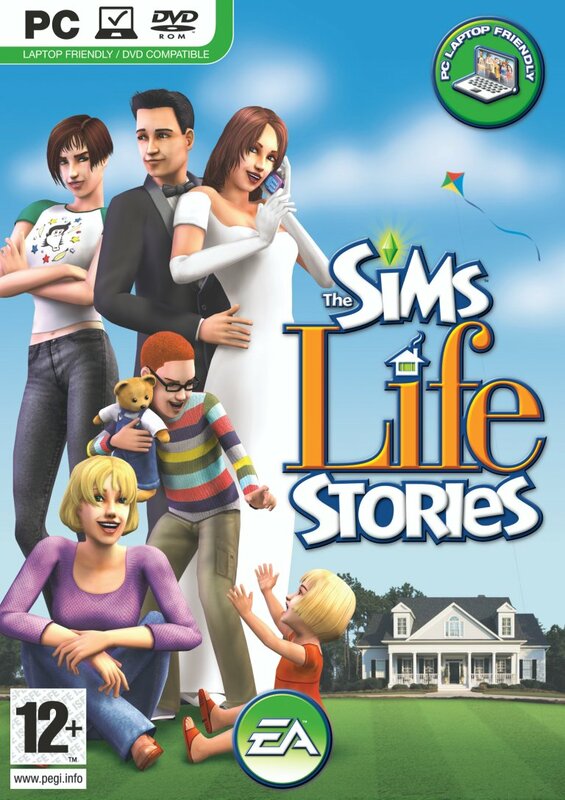 The Sims Life Stories (TSLS) looks very much like part of the product range for The Sims 2 (TS2) but is in fact unique. It is a standalone game that requires at least 2.5Gb on your hard drive and provides two 12-episode stories and a free play mode. For those familiar with TS2, you should immediately slide right into it. For those who are not familiar with TS2, it will serve as a hassle-free introduction to the mechanics and methods of TS2. So what does it set out to do? TSLS claims to be laptop friendly and to provide a new gaming experience for people on the move. I have installed it into my old laptop and I must agree with the claim. Loading time may be long and my graphics might be set to a minimum, but as my laptop was below the recommended specifications of 512Mb of RAM, I was not too surprised. I was pleased that it performed better on my laptop than when I tried to install TS2. How is it more laptop-friendly? It does not place requirements on needing a high range graphics card. Also, for those who use touch-pads, a lot of the navigation has been replaced with keyboard shortcuts. I really like these and they speed up play a great deal. Personally, I would like to see more keyboard shortcuts included in TS2. Perhaps the two development teams might compare notes at some stage. The most important keys are A & D for moving the camera left and right, W & S for moving it forwards and backwards and Z & X zoom the camera in and out. However, for gameplay itself, here are a few good examples. Firstly, if your sim is hungry and you are in a hurry, there is no need to direct them to the fridge to click on something for them to eat. Instead, just press H and they will go and make a meal. The only drawback with this is that the choice of meal is out of your hands and they will make what is most expedient. Another example is G which allows you to greet people visiting you. I find this to be very useful. It saves time having to find them, especially if they've wandered away from the front door and are now somewhere in a darkened garden. Other examples are K for cleaning, Y for showering, B for toileting and R for getting some rest. I would have liked to have seen a keyboard shortcut combination (Ctrl+S perhaps) for saving the game. 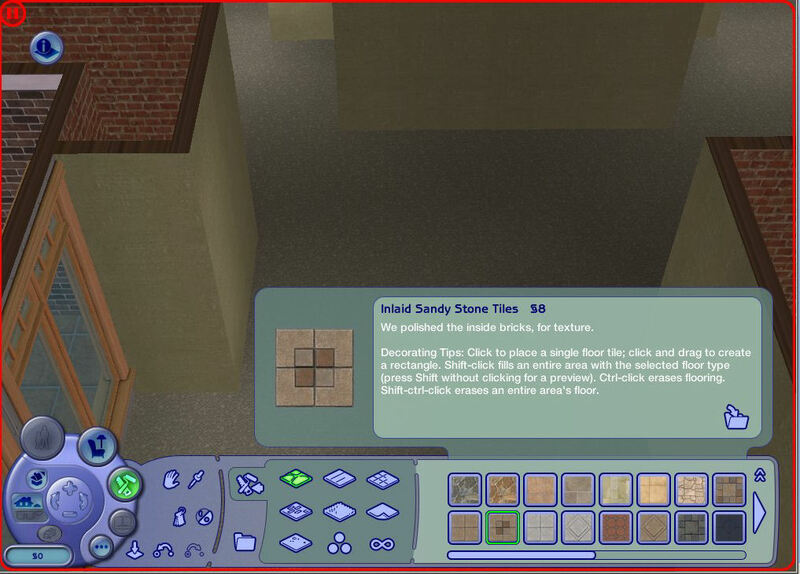 In ChEeTaH's preview, as well as being able to rightclick on non-controllable sims to find them, the developers were working on including this keyboard combination. Neither of these made the final cut. I am very disappointed. I would have thought especially a keyboard combination for saving would have been a godsend for laptop users playing this game who have to deal with a finicky touchpad instead of a mouse. Basically, TSLS looks very much like TS2. This illustration comes from a Free Play session but if you did not know, you could easily be mistaken for assuming it was from TS2. 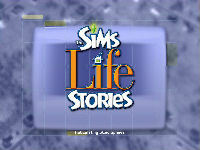 However, this version could be considered to be TS2-lite. It does not have all of the features that TS2 has. Some icons have been greyed out instead of being replaced or removed. I am of the impression that a large customer base that EA are trying to get for TSLS are those who have not yet played TS2 and perhaps use this as a way to coax people to play. The developers have been very crafty, however, and incorporated a lot of the best features from TS2 and the first three expansions. Property value, day-night view, visible and clickable neighbours, inventory, influence and turn-ons/offs are major game improvements from subsequent EPs that have been included. In Build Mode, I am really impressed with the new walls and floors. There is a lot of new content here and I only wish that converting them to TS2 would be possible, without hours upon hours of tweaking screenshots to get a good copy of a floor or wall. Yes, I've tried. In Buy Mode, there are some new objects but I feel that development has been rushed. Some of the preview pics in the catalogue appear to be clipped. 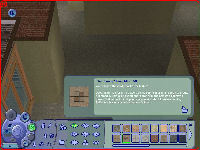 Although not as bad as missing out descriptions altogether as they did for the Vacation EP for TS1 (I don't forget things like that), it is obvious that not enough due care and attention has been paid to this area. A minor flaw, but a flaw nevertheless. Written at 03:57 on Friday 16 February 2007 by Andy.